See your entire home/workplace when you are away! HAG 360° Panoramic CCTV Bulb Camera is a fish-eye wide angle surveillance system for live monitoring. 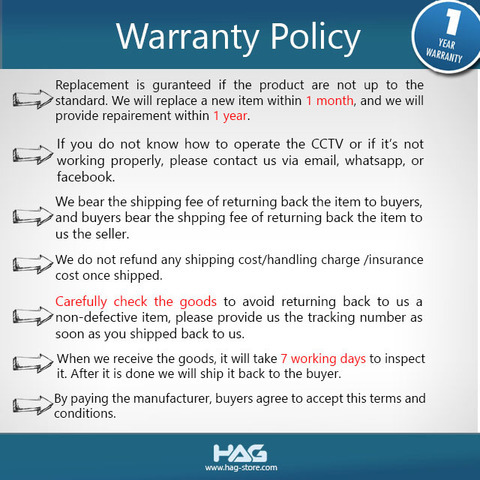 A smart CCTV camera that is widely used at home, office, factory and etc. 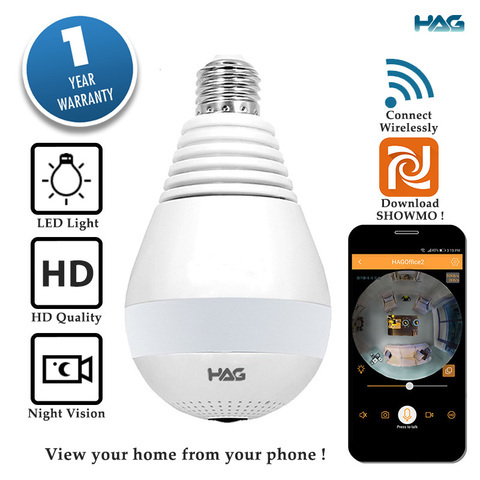 Currently the best bulb type wireless surveillance system on market. 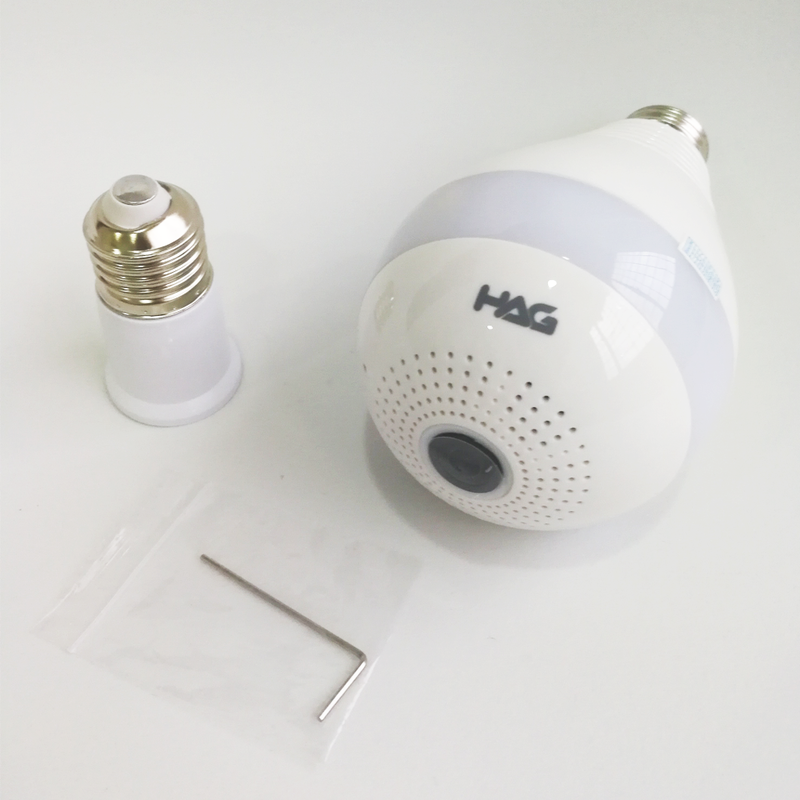 Simple and easy setup (Install to any E27 bulb holder), only 2 mins to install. Premium Quality with high resolution view from phone. 360° Panoramic view with no blind spot and excellent night vision. 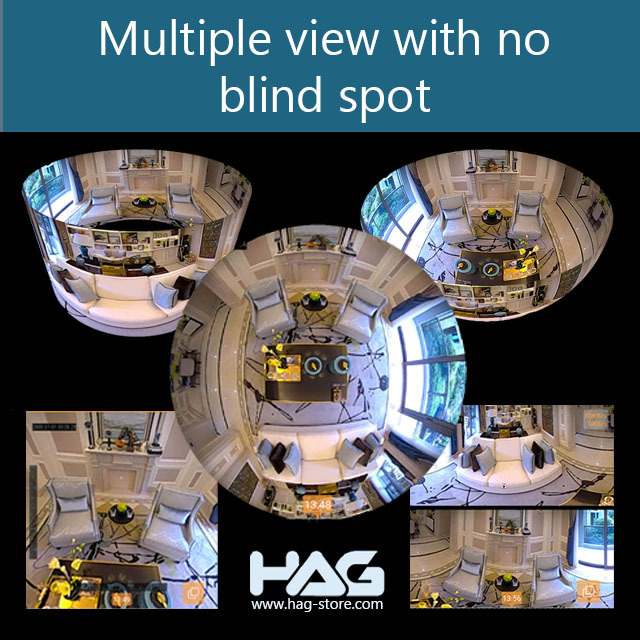 Multiple View: 5 different type of views on mobile phone, no blind spot. Dual Function: Act as a LED Bulb (3 x 3W) and CCTV Camera. Completely wireless solution. Requires Wi-Fi Connection. View it anywhere you are even if you are overseas. High resolution: 960P HD (1280 x 960), 1.3 Megapixels. Can take photo on the spot and save it to your album. You can still rotate your photo for 360° even its saved in your app album. 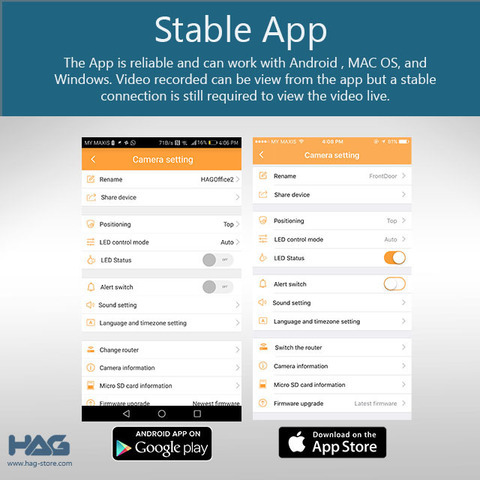 Instant video recording and send it to your friends and family. 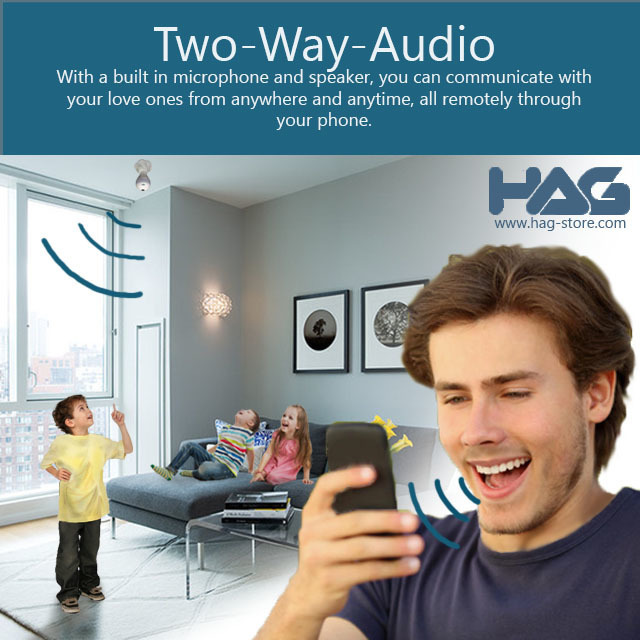 Two-way audio: Built in speakers and microphone. You can hear the sound from the other side and can also speak with them instantly through the microphone. All functions of CCTV camera & LED light are controlled from phone. 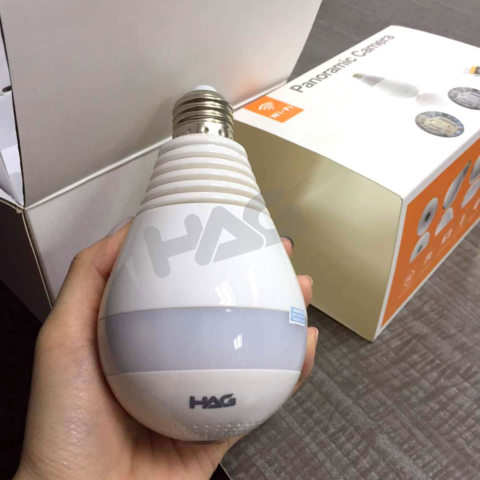 LED Light Sensor: Led light will turn on / off automatically when the surrounding is dark, and turn off when the surrounding is bright. ShowMo App. Very stable and constantly update for more features. 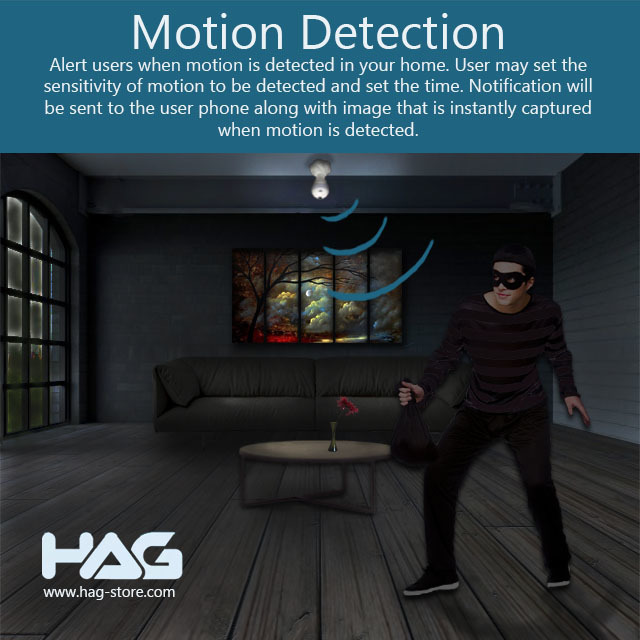 Motion Detection Sensor: Alert users when there is motion detected from your home. 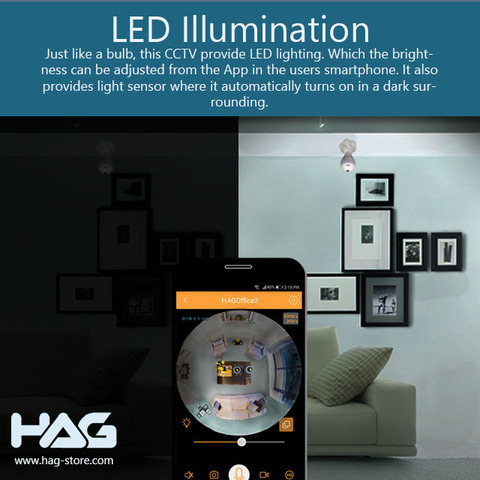 You may set the sensitivity of motion to be detected and set the time. Notification will be sent to your phone with image captured instantly when motion is detected. 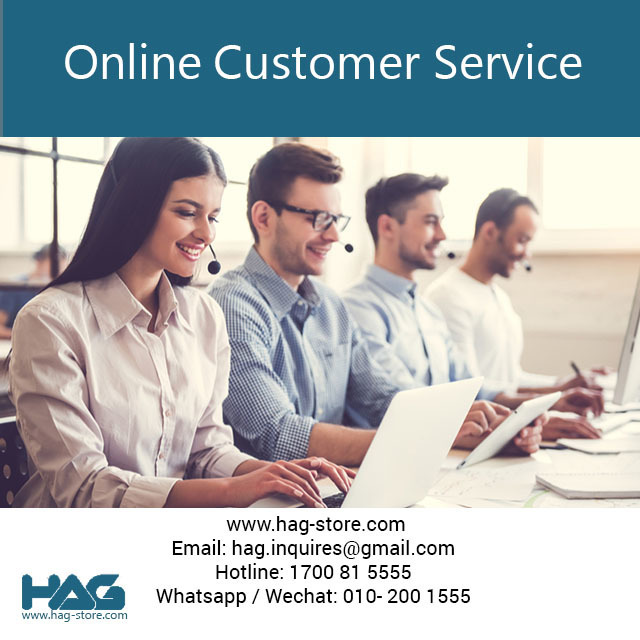 Completely Wireless Solution. You just need a bulb holder to plug in and on. Micro SD Card for Recording: Suggest to use Class 10 Micro SD Card for faster speed. All recordings will be saved automatically and recycle for new recording once its full. 16GB can record for up to 1 day, 32GB about 2-3 days, 64GB about 6-7 days. Playback function available on smartphone. Micro SD Card is already encrypted.
" Is my baby awake? " " What is my puppy doing? " " What if someone's break in? " " How's my kids doing at home? " " How are my parents right now? " Worry No more! Your home at your phone. 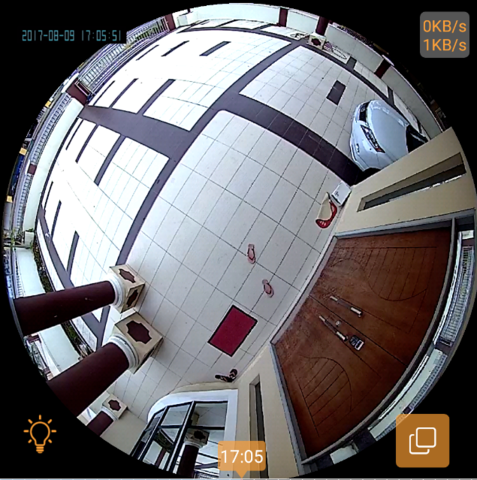 Unlimited CCTV can be installed and view. 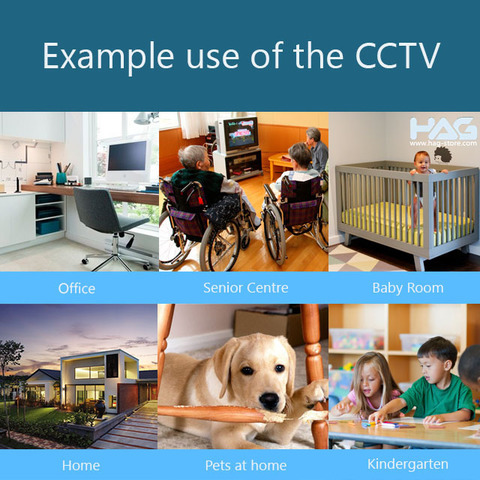 Can only support one CCTV per user. Cannot share account, only one user. 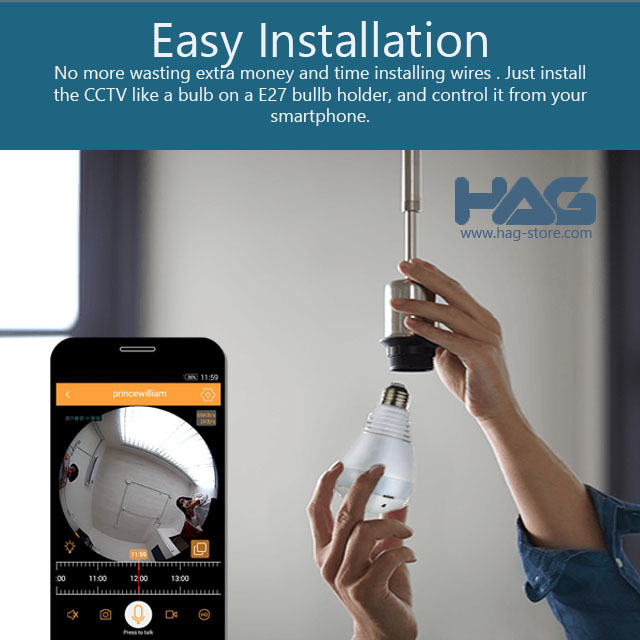 Install HAG 360° CCTV Bulb Camera into any of your light bulb holder (E27) and switch on. Ensure Wi-Fi connectivity is available at your premises. 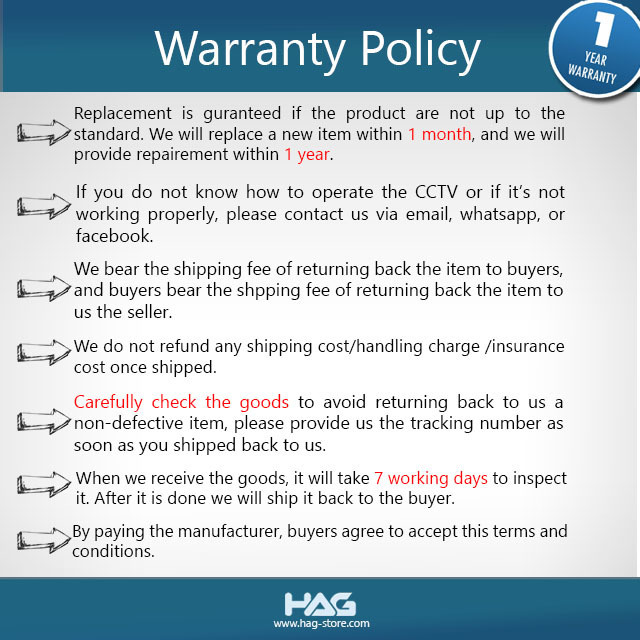 (Mandatory requirement). 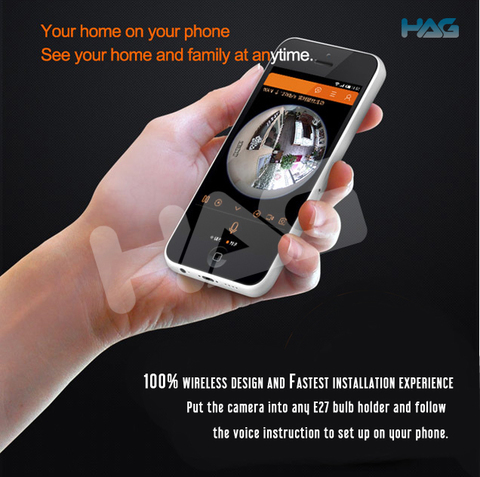 Connect your phone to home Wi-Fi. Download "Showmo" app from Apple Store or Google Play Store. Launch the apps and sign up a new account with your email address. Click “Obtain” to get your verification code, enter the code and click “Next”. Create your new password and click “Finish”. Enter your Email address & password on the Login page and sign in. Click on " + " symbol on the upper right, select “Smart Wireless Mode (recommended)”. Then, click “Next” at the bottom to proceed. Enter your premises Wi-Fi password and click “Next”. Then select “Malaysia” as your current location and click “Next” again. 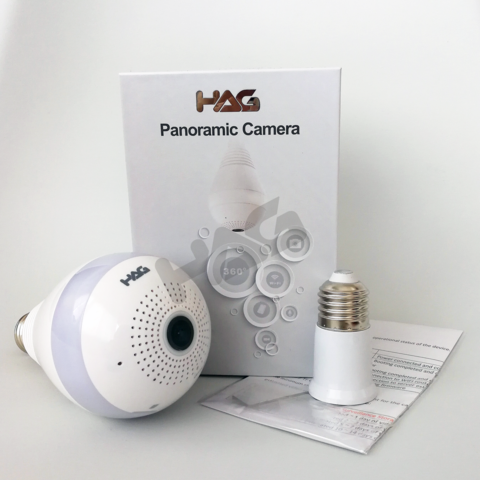 At this moment, HAG 360° Panoramic CCTV Bulb Camera will be pairing with your phone. Wait for about 15 – 20 seconds for it to connect successfully. Once connection is completed, it will turn from red to green light. 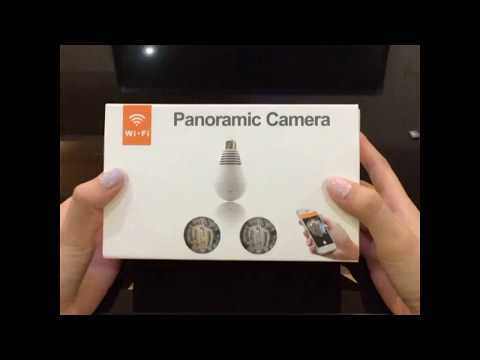 Your camera is now connected for viewing.